Dr. Dorothy Moss speaks on "Active Absence, the Obama Portraits, and the National Portrait Gallery." Professor Denva Gallant will present "Making the Devil Visible: Images of Temptation in N.Y. Pierpont Morgan MS. M. 626." Professor Jennifer Van Horn is the first scholar to receive this award from the National Portrait Gallery. Dr. Carol Armstrong speaks on "Medium, Matrix, Materiality: A Feminist Perspective." The annual Andrew W. Mellon Curatorial Track Ph.D. Lecture with alumna and Curator of Painting and Sculpture at the National Portrait Gallery, Dorothy Moss. Her lecture is titled, "Active Absence, the Obama Portraits, and the National Portrait Gallery." As part of the Graduate Student Lecture Series, Department Chair and Arthur H. Dadian and Ara Oztemel Professor of Armenian Art and Architecture at Tufts University, Christina Maranci, will present her lecture, "Adventures in Armenian Art." Reception for "'My Art Speaks for Both My Peoples': A Symposium on Elizabeth Catlett"
An evening event (exact time TBA). "'My Art Speaks for Both My Peoples': A Symposium on Elizabeth Catlett"
​As an assistant professor of art history at the public honors college of the state of Maryland, I take part in shaping a dynamic and intimate curriculum that places art history at the heart of an undergraduate liberal arts education. While I have a strong belief in the value of the small liberal arts college, my time at the University of Delaware instilled in me a respect and value for the opportunities and support of a state-funded, public institution. After graduating from UD, it felt right to me to join an institution that comprises the best of both. At Saint Mary's, my classes explore the art and material culture of the early modern Atlantic world. While I was trained at the University of Delaware as an Americanist, this focus in my teaching grows from my experience in the program. Working with Wendy Bellion and Monica Dominguez Torres, as well as professors in the English department, and curators and faculty at Winterthur, I expanded my notion of what belonged in a study of American art, and developed an interest in the colonial world that crossed national boundaries between the US, Mexico, South America, and the Caribbean. As a teacher, I am excited to expand my scope even further by looking across the Atlantic to show how a study of visual and material culture can illuminate the production of an early modern global culture shaped by the interactions between people in West Africa, Europe, Asia, and the Americas. As a graduate student, the opportunities to do internships at area museums--often with other UD alums--also sparked in me a commitment to curatorial and museum work. At Saint Mary's, I am excited to share this interest with my students by organizing field trips to mid-Atlantic museums, teaching in the Museum Studies program, and drawing from the small campus collection in my teaching. ​In September 2017, I started working at the Philadelphia Museum of Art in the newly created position of Project Coordinator for Academic Partnerships. In this role, I help to expand and foster the Museum's relationships with art history graduate programs at colleges and universities in the greater Philadelphia region. One of our primary goals in developing strong partnerships with local art history departments is to provide emerging art historians with crucial training in object-based study and encourage interest in collections-directed research. One of our major initiatives is a partnership with the Department of the History of Art at the University of Pennsylvania, generously supported by a joint grant from the Andrew W. Mellon Foundation. The grant facilitates a variety of activities, including seminars co-taught by professors and curators, graduate fellowships and internships, and object-based study workshops. The central importance of the object in art historical inquiry is a mindset and a skill that I first developed while earning my B.F.A. in studio arts. Among the faculty and students of University of Delaware's Art History Department, I discovered a like-minded dedication to object-based study, bolstered by strong ties with UD's Department of Art Conservation and Center for Material Culture Studies. My former advisor H. Perry Chapman provided, along with her incredible dedication to teaching and mentoring, a model of a scholar who balances interests in academe and museums, something shared by many of the faculty in the department. In my own scholarship, I continue to begin with the work of art first and foremost. I am currently developing my dissertation on late-seventeenth-century Dutch artist Godefridus Schalcken into a book manuscript titled Nocturnal Visual Culture in the Dutch Golden Age: Godefridus Schalcken and the Rise of Candlelight Painting and continuing my research into the interconnected history of the rise of a new nocturnal culture in seventeenth-century Europe and concurrent artistic developments in picturing the nighttime in art. As a CPA and Senior Financial Reporting Analyst at the University of Pennsylvania, I credit my Accounting degree for the technical skills that I apply in my daily work, and my Art History degree for providing me with the career opportunities to apply them. When I began my undergraduate studies at the University of Delaware, I sought to build a career based on my interest in furthering the arts and not-for-profit industries through business. Upon graduating in 2014, I began working in Philadelphia as an Audit Associate at public accounting firm KPMG, LLP. Because of my Art History degree, I specialized in audits of not-for-profit companies such as universities, museums, and public institutions. After two years, I was promoted to Senior Audit Associate and, in 2017, I left KPMG to begin my role in the Office of the Comptroller at the University of Pennsylvania. Every stage of my career thus far has been enabled or enhanced by my background in Art History. As an undergraduate student, my Art History professors challenged me to communicate and interpret my thoughts and the thoughts of others in a way that felt similar to translating foreign languages. Their teachings prompted me to develop communication, persuasion, research, and analytical skills that rounded out my technical business studies. Having since developed relationships with corporate recruiters while at UD, clients at KPMG, and industry professionals at Penn, I have discovered that my Art History degree and the accompanying skills have differentiated me from my peers and made a lasting impression on the professional communities I have joined. ​One of my favorite stories about my transition from being a graduate student in Art History at the University of Delaware to becoming a full curator at PAFA, the US's oldest art academy and museum, is of the day I drove up from Washington DC, where I was living, to defend my dissertation in Newark, and then immediately upon being declared a Ph.D., drove to the Philadelphia International Airport and boarded an overnight flight to Paris. From there I went directly to meet my new boss from PAFA at the back door of the Musee d'Orsay, proceeded into their vaults, speaking only in French to their registrars about Henry Tanner paintings in their collection and translating for my non-French speaking director. I wish I could say that the day ended there, but it was followed by a long French lunch and a visit to the Drouot Auction house with the then Curator of American Art from the Louvre. Finally, at long last, perhaps 36 hours after my defense, I collapsed in a French hotel room. In many ways, there is no way to train to be a curator - how do you learn to meet with wealthy collectors and feel at ease in their homes talking about art? How do you learn to negotiate international loans with institutions that may never have heard of your institution? How do you convince foundations that your projects are worth funding, and your colleagues at museum's across the country that their works of art should be on your institutions walls instead of their own? Some of these things you must learn on the fly, and by doing. However, in many ways, I feel that there are few other programs in the country that could have trained me as well for what I now do then the program at the University of Delaware. 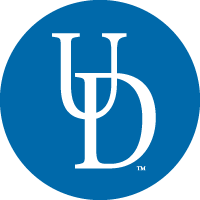 At UD I continued to hone the language skills I had been developing since childhood, expanding beyond French and Italian to include knowledge of German and rudimentary Spanish. I learned how to implement a multi pronged scholarly project - the dissertation - which required fundraising and networking skills to execute. I benefited from the mentorship of outstanding faculty members and alums, and the brilliance and support of my fellow students, many of whom remain friends and colleagues. The connections with objects, institutions, and people I made in my 6 years as a UD graduate student only continue to deepen and strengthen over the years, and I am happy to say that since 2009 I have taught and mentored multiple UD art history and Winterthur students through PAFA's outstanding collection as visitors, students, interns, and assistants. Kelly Baum holds both a Ph.D. and an M.A. in Art History from the University of Delaware. She was appointed Curator of Postwar and Contemporary Art in the Metropolitan Museum of Art's Department of Modern and Contemporary Art in 2015 and is now the Cynthia Hazen Polsky and Leon Polsky Curator of Contemporary Art. She previously served as the Haskell Curator of Modern and Contemporary Art at the Princeton University Art Museum, where she was the founding curator of the museum's department of modern and contemporary art. ​My career as an art historian and museum professional began when I chose to major in Art History at the University of Delaware. As part of my undergraduate experience I studied abroad in Paris, participated in the Curatorial Apprenticeship Program (then led by Jan Broske, Curator of Collections at the University Art Gallery), and completed an internship at the Delaware Art Museum. After graduating in 2006 with a B.A. in Art History and a minor in French, I went on to earn an M.A. in Art History from George Washington University. While in D.C. I interned with curators at the Phillips Collection, which confirmed my love of research and curatorial work. Before pursuing my Ph.D. I gained additional experience working at the Philadelphia Museum of Art in the Executive Office, Registrars' Office, and Special Exhibitions department. In 2010 I began working toward my Ph.D. in Art and Architectural History at the University of Virginia under the guidance of Elizabeth Hutton Turner, specializing in American and modern art. My first seminar paper won the inaugural Archives of American Art Graduate Research Essay Prize. While writing my dissertation, "John Sloan: Between Philadelphia and New York," I pursued fellowships that would grant me additional museum experience. I first interned at the National Gallery of Art, Washington, D.C., and then returned to the PMA as a Barra Fellow in American Art, before completing my degree as Sara Roby Predoctoral Fellow in Twentieth-Century American Realism at the Smithsonian American Art Museum. I am currently Assistant Curator at the Florence Griswold Museum, a museum dedicated to American art in Old Lyme, Connecticut. Since the FGM is located at the site of an historic artists' colony devoted to American Impressionism, I often recall my initial exposure to Impressionism while at UD, and my first visit to Giverny while studying abroad as an undergrad. As a Public History Fellow at the Science History Institute, my job is to build satisfying relationships between individuals, our community, and our museum. I tell stories, design and script exhibitions, build programs and digital projects, and conduct research in our collections that will help illuminate the histories of science and art. My degree at the University of Delaware gave me a perfect foundation for an enriching career in art history and museum curation. The range of skills I developed at UDel—from critical analysis to creative teaching—have helped me move confidently through diverse challenges. I am currently working to open SHI's collections to new audiences, including a digital game exploring our alchemical paintings collections; this project was awarded an NEH Digital Projects for the Public Prototyping Grant for 2018. Another advantage of working in our tight-knit UDel community was the proximity to conservation students and faculty, who offer an entirely different and necessary set of skills and perspectives on studying art. My dissertation research, now a forthcoming monograph, included technical analysis and studies of artists' materials and working processes. The chance to learn from conservators has greatly benefitted my ability to communicate across museum departments and to build lasting professional relationships in the field. Most recently, I worked with objects conservators at Winterthur Museum and Gardens during the development of our 2017-2018 exhibition, Things Fall Apart, exploring the science and cultural impact of materials decay. My decision to major in Art History as an undergraduate student at the University of Delaware was crystallizing in many ways because it set me on a path for success. The University of Delaware's Art History program ranks among the top programs in the nation. I benefited from the outstanding faculty and their supportive mentorship. Drs. Wendy Bellion, Margaret Werth, Larry Nees, Lauren Petersen – to name a few of my professors – challenged me to think and write about art critically. Individually, they encouraged me to communicate my own interpretations about art. I have continued to hone these skills at every stage of my career. As part of my undergraduate experience, I lived abroad in Italy, Ecuador, and Australia, where I studied Italian and Spanish languages. After graduating Dean's List in 2005 with a B.A. in Art History, I earned my M.A. in Museum Education from the University of the Arts. During my graduate program, I interned at the Philadelphia Museum of Art in the Education department. I graduated with Highest Honors from my graduate program, and then moved to New York City. I worked at Phillips auction house in the Modern and Contemporary Editions department and Client Management in their New York and London offices. Currently I work as a publicist for the Philadelphia Museum of Art. In my day to day, I write press releases, pitch to media, plan press events, and develop communication strategies to promote the Museum's exhibitions, scholarly publications and public programs. Whether I am interviewing a curator about an exhibition or interfacing with media, my days are spent immersed in conversations about art. I like to think I cultivated this trait as a college student at UD. My degree has helped me stand out amongst my peers and has rooted me in a wonderful career that fosters lifelong learning. ​Kristel Smentek earned her M.A. in Art History from the University of Delaware in 1996 and her Ph.D. in 2008. The following year, she won the Council of Graduate Schools/UMI Distinguished Dissertation Award in the Humanities and Fine Arts, generally acknowledged to be the nation's most prestigious honor for doctoral dissertations. Appointed to MIT's faculty in 2008, Smentek is a historian of eighteenth-century European visual culture, with specializations in the history of collecting, the art market, and the European encounter with Asia. She is the author of Mariette and the Science of the Connoisseur in Eighteenth-Century Europe (Ashgate, 2014). After graduating from UD, I worked for five years in Washington, D.C. as a Manager of Initiatives for the Center for the Study of Modern Art (now the University of Maryland Center for Art and Knowledge) at the Phillips Collection. During my tenure at the Phillips, I had the great opportunity and fortune to work side-by-side with innovative thought-leaders, arts advocates, leading and emerging contemporary artists, and even policy makers (it was D.C., after all!). In this position I worked collaboratively across departments to plan, manage, and execute public programming, exhibitions, guest lectures, classes, symposia and special initiatives. With the support and leadership of the museum and Center directors, I helped orchestrate over 75 programs; developed projects with over 25 contemporary artists including Hans Haacke, Alfredo Jaar, Ragnar Kjartansson, Janine Antoni and Wangechi Mutu; and managed over a dozen regional, national, and international collaborations and partnerships including private, public, and nonprofit organizations and educational institutions. The experience of working for a museum with such an incredibly forward-thinking and global focus was instrumental to my professional development as a small-business owner. In addition to holding the positions of Academic Advisor and Instructor within the Alfred Lerner College of Business and Economics at UD, I own and operate a small business: Moderncity + Main. As the owner, I direct and develop every aspect of the business—operations, communications and marketing, research and development, partnerships, etc. Having the acumen and aptitude needed to run and grow a small business is something I developed and fostered during my time at the Phillips Collection. If it were not for those seemingly endless hours of programming and strategic planning, negotiating and communicating with contemporary artists, and encouraging educational and cultural partnerships, I would not have the skill sets to direct the operations and growth of a small business. Part of my story has also laid the groundwork for my Shine the Light Foundation, which focuses on raising awareness about domestic violence in the US and abroad. My professional and personal development can most certainly be traced back to my time as an undergraduate student in the Art History and French Language programs at UD. Going beyond academic and scholarly skills like learning how to effectively communicate and translate an idea represented in an image or text to support or establish a new narrative, I learned a great deal about time- and project-management, the importance of collaboration, the value in thoughtful expression, and the reward of hard work. Considering my professional trajectory and where this path began for me at UD, I enthusiastically believe that the value of pursuing and obtaining a degree in the humanities is not to be underestimated—especially in a time when ideals like compassion and acceptance seem to be shaken. The ability to view society and the world objectively and thoughtfully through a critical and informed lens, and communicating these views, is something of considerable worth. For the past two years I’ve been working as Associate Registrar at the Brandywine River Museum of Art. My responsibilities range from managing the incoming loans and gallery changes to inventorying and condition reporting works of art. I also manage the digitization project of our fine art collection to our new online database and collections management system. Before that, I was the Curator of Fine Art and Registrar at the Science History Institute. My collections interest began when I earned my bachelor’s degrees in art history and art conservation from the University of Delaware in 2007. From there I started my tenure at the Science History Institute as image archivist, maintaining and cataloging the photographic collections as well as assisting with the development of SHI’s first permanent exhibition, Making Modernity. I then moved to completing the first digital archive at SHI with the help of my team of interns in the Center for Contemporary History and Policy. While working as Curator of Fine Art and Registrar at SHI, I completed my master’s degree in museum studies from Johns Hopkins University as well as co-curated the temporary exhibition, Books of Secrets.